Peak amortizes the stricking force in case of strict stroke. 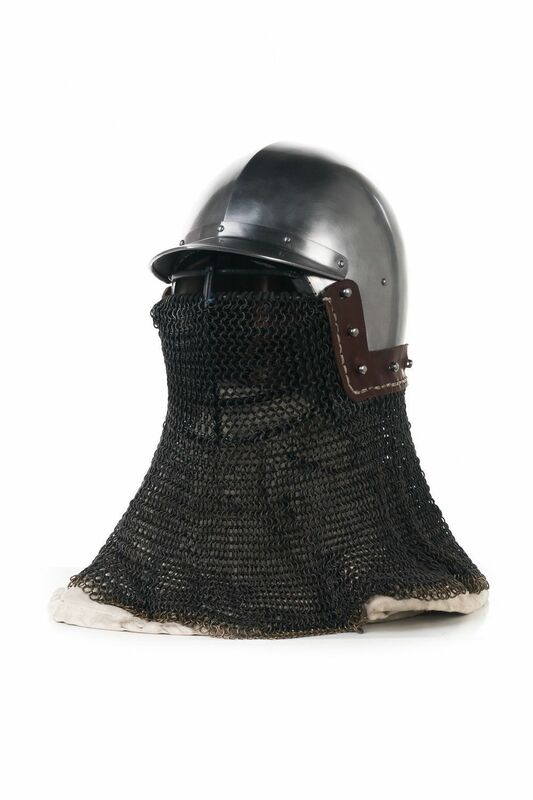 Mail aventail provides with complete face and neck protection. Bar grill visor has distance 2.1 cm between the rods, that is completely compliant to SCA standards. For head circumference 58-61 cm. Was not in usage. Ready to ship. Manica was a widespread element of gladiator padded arm protection. It could be made of soft padded or quilted few-layered clothes. Such protection was fixed with leather belt and strings on the arm. Depending on the type of gladiator, manica was being worn by: Murmillo, Equestis, Hoplomachus, Secutor, Thraex - on the right arm; Retiarius - on the left arm. This is left hand manica with brown leather fastenings. Outer side - yellow linenInner side - yellow linen Layers of padding: 3 layersThis gladiator manica will be perfect for such measurements: - arm length (from the shoulder joint to the wrist, over the bent elbow) - 68 cm- hand length (from the wrist to the finger-ends) - 20 cm- hand circumference (over the knuckles) - 22 cm- bicep circumference - 32 cm - elbow circumference - 30 cm- forearm circumference - 29 cm- chestbelt length - 90 cm .. 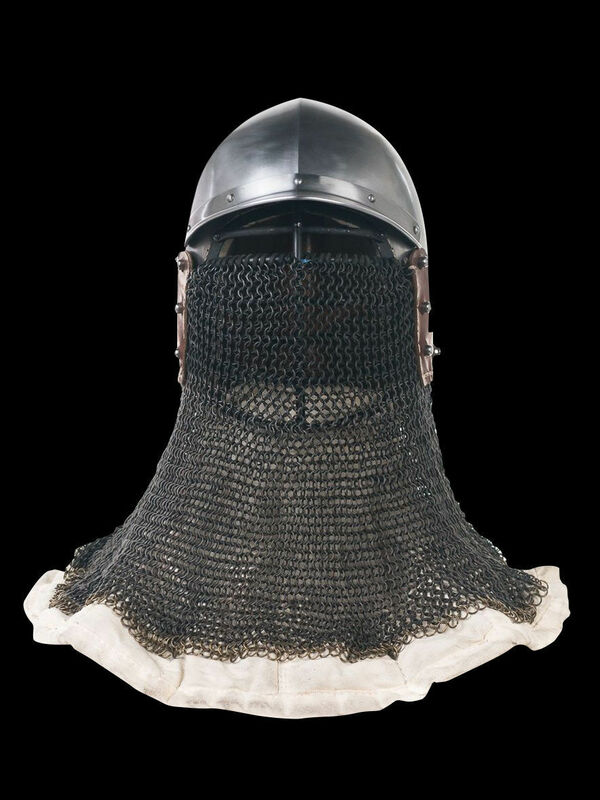 The most popular gambeson of X-XII centuries among european knights. 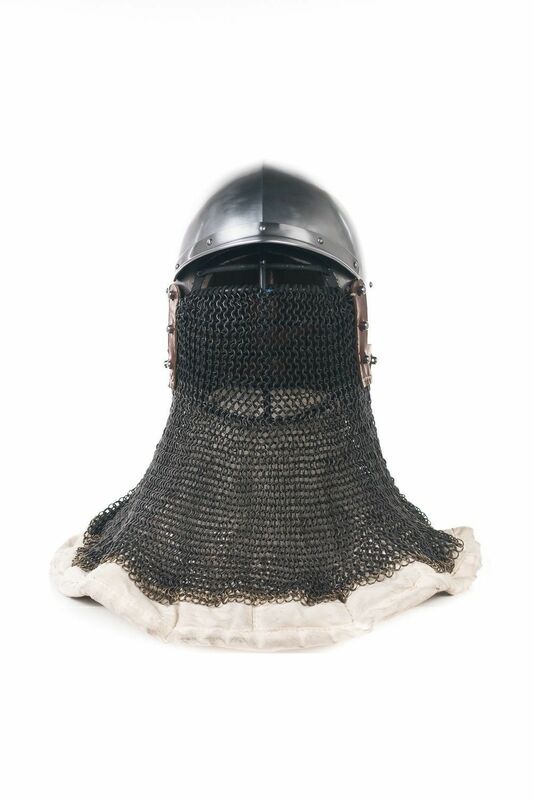 Medieval gambeson had been pulled over the head and had a lacing on the back side of neck. Gambeson sleeves are with holes under armpits. 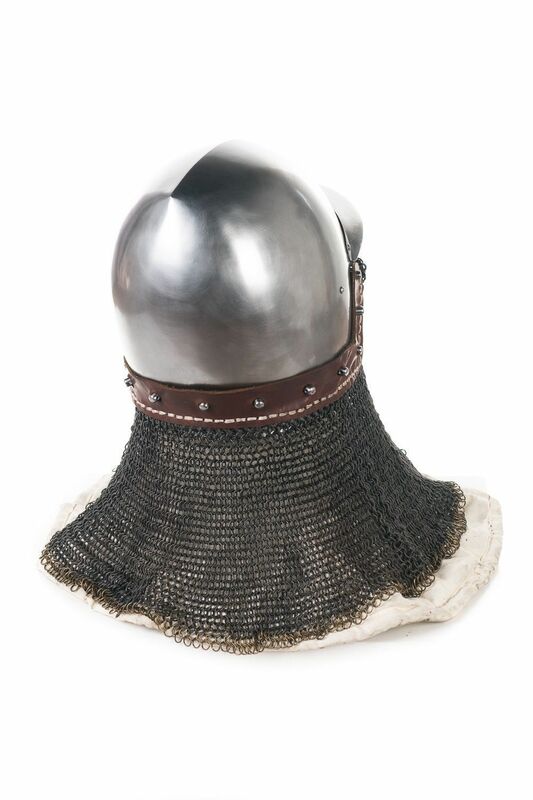 Outer side: wine red linenInner side: wine red linen Layers of padding: 3 layers Size: M..
SOLD OUT YOU CAN ORDER YOUR CUSTOM-MADE HELMET HERE Medieval conical Norman helmet ..